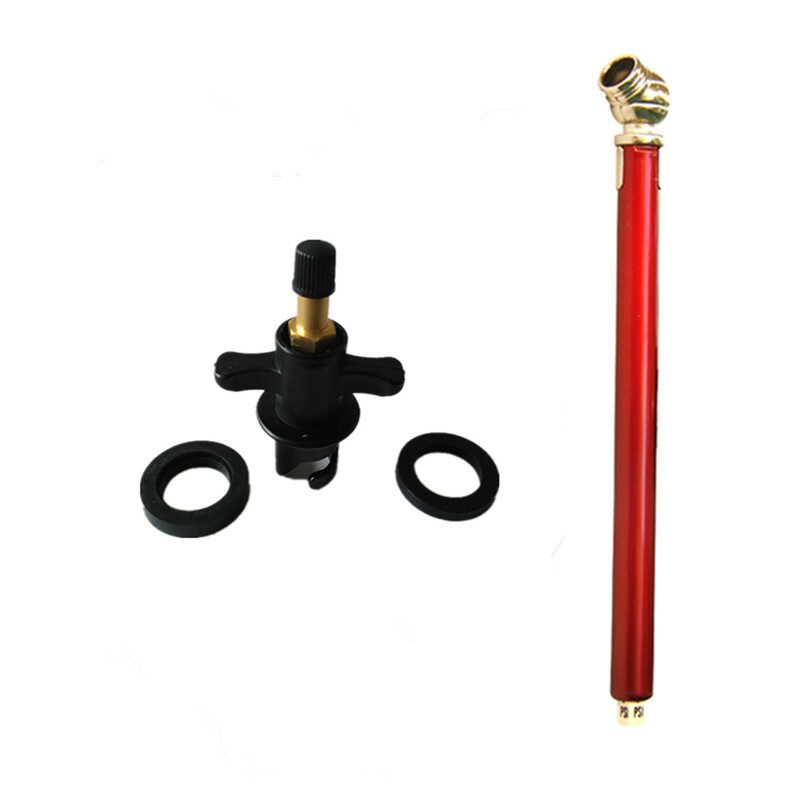 The AWD-HPV high-pressure SUP inflator valve is a new product on the market this year.It’s a cool little valve adapter that allows you to inflate your board using a common air compressor such as a tire inflator at a gas station or with a portable compressor that hooks up to your vehicles power source. I think it’s a brilliant product and useful for a lot of people. 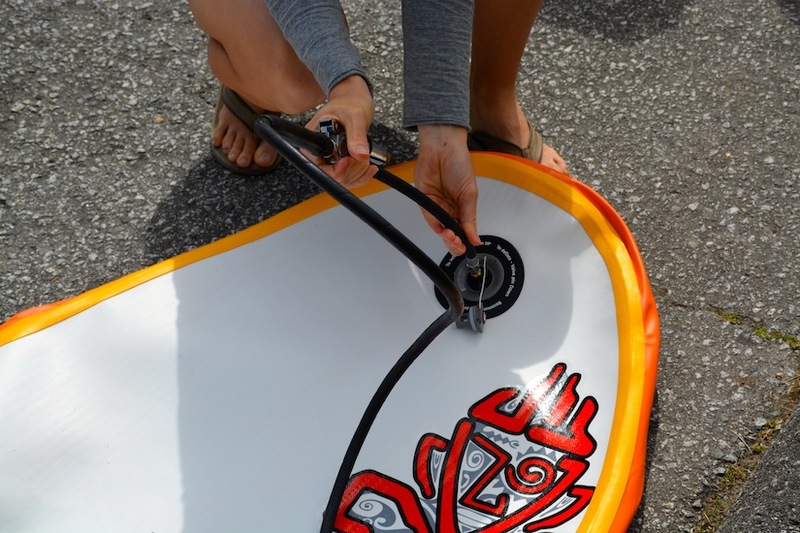 Up until now the only way to inflate your board was with a hand pump, the K-Pump or a good electric pump. 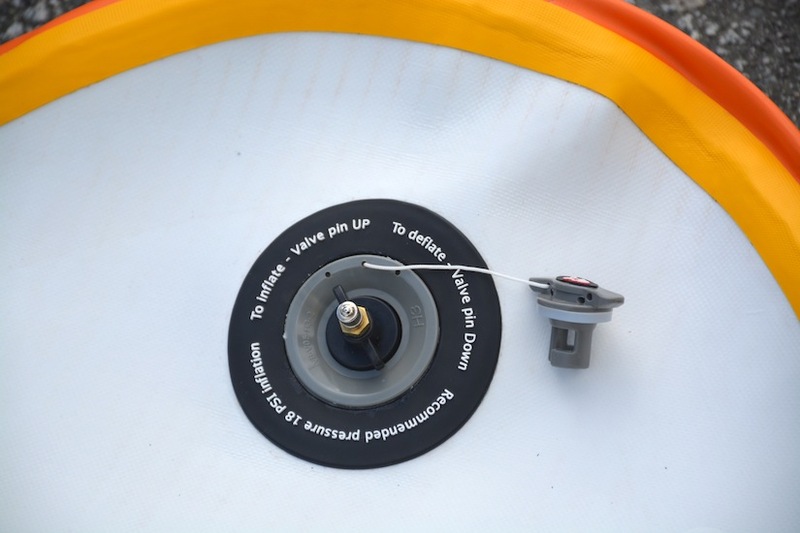 All good methods, but what this valve does is open up new possibilities for inflating your SUP in different locations with basically no work. 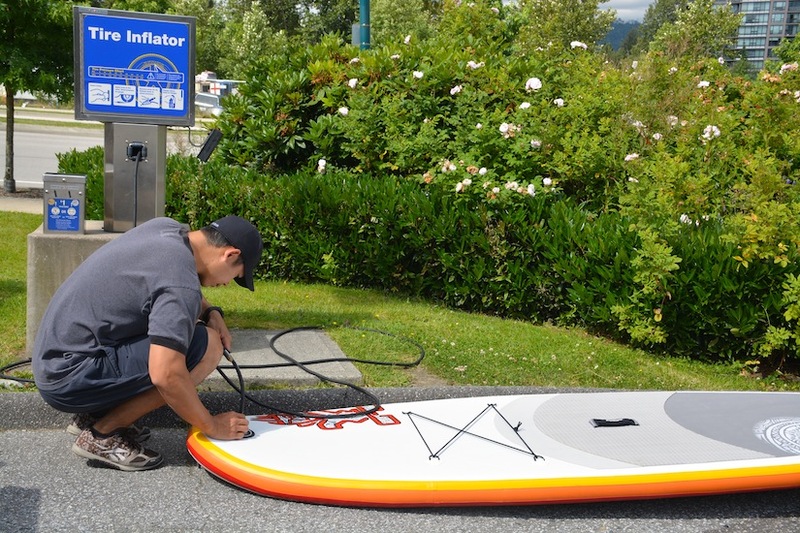 Using a compressor allows you to not only inflate your SUP very quickly but also to get it as rigid as it needs to be to perform well. Using it is a simple 4-step process. 1. Remove the valve cap on your board. Make sure the valve release is in the closed (up) position. Just like you would normally do when inflating your board. 2. Insert the SUP inflator adaptor. It will be compatible with most major brands. You will need to remove the silver cap from the top of the inflator valve. 3. From there you can inflate with a standard air compressor hose. 4. Use the included pressure gauge to check the inflation progress. Make sure you know the recommended PSI so as not to over-inflate. This high-pressure SUP inflator valve is good for just about anyone with an inflatable stand-up paddleboard. As most of us know who have ISUP’s, getting the board to the proper rigid inflation level takes a bit of work. I use the K-Pump or my electric pump to make sure I get it fully inflated to as hard as I want it to be. However even my electric pump will only inflate my boards up to a maximum of 15 PSI. There are a few boards on the market that can be inflated to 18+ PSI and with the Slingshot I was able to do that easily. I personally think that the AWD-HPV is perfect for anyone who loves to travel. If you have this valve with you then you don’t have to lug along your hand pump or electric pump when traveling. It’s so tiny it can fit into a small pocket. Instead of bringing your pump along, you can simply use the air compressor at a gas station (as long as you have a car with you). I could have used this several times over already on my travels. I think it’s awesome. This product can be used on any air compressor at home, at a service station or with a handy portable air compressor. There is no doubt that this is a great new product. Throw it in your SUP bag and you’re good to go.